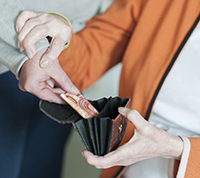 Financial decision-making can be difficult at any age, but this is especially true for older Australians facing the risk of age-related cognitive decline. As the lifespan of the average Australian increases, so too does the need for the financial services industry to be informed and aware of the impact that ageing has on the decision-making process. Associate Professor Anup Basu of the Queensland University of Technology hopes to shed light on the preparedness of older Australians to the potential financial risk posed by aged-related cognitive decline through his research project titled Financial Decision Making in Late Adulthood, which has been awarded the Australian Research Council (ARC) Linkage Grant in partnership with the Dementia Australia Dementia Research Foundation. Associate Professor Basu said the research would help in developing understanding on how aware individuals are of their own cognitive capacity and whether awareness of any cognitive decline results in greater willingness to delegate financial decision-making responsibilities to their spouse or family members” he said. “We expect our research to not only shed a light on the financial preparedness of older Australians facing the risk of age-related cognitive decline but also inform policymakers and advocacy groups on how to improve existing provisions on delegated decision-making, as well as adapt regulations on marketing of financial products to older consumers. Individuals living in Brisbane and surrounding areas in the age range of 60-89 years, are invited to participate in this research project with their partner or family members. Participants would partake in cognitive assessment and financial decision-making tasks and would have the option to complete these tasks either at QUT’s Gardens Point campus or at their own residence.